A day of fun for all ages! Free admission. Breakfast and Lunch available by donation. Activities, Music, Shopping, Free Gifts, Free information from Ministries and Churches. 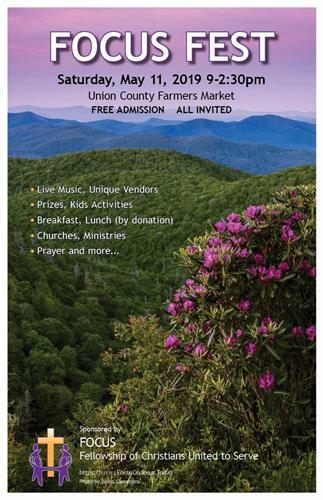 Artists, Crafters, Vendors, Musicians come together to celebrate fellowship. All visitors are welcome.